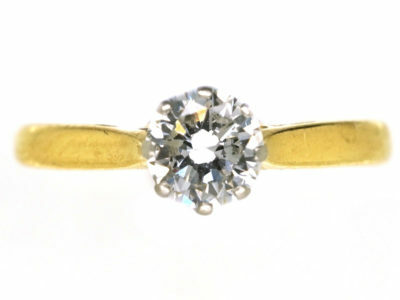 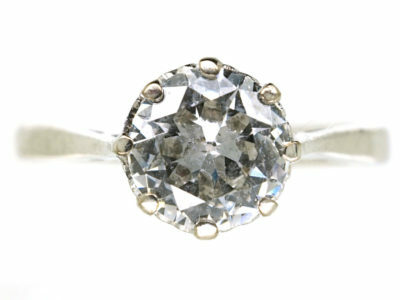 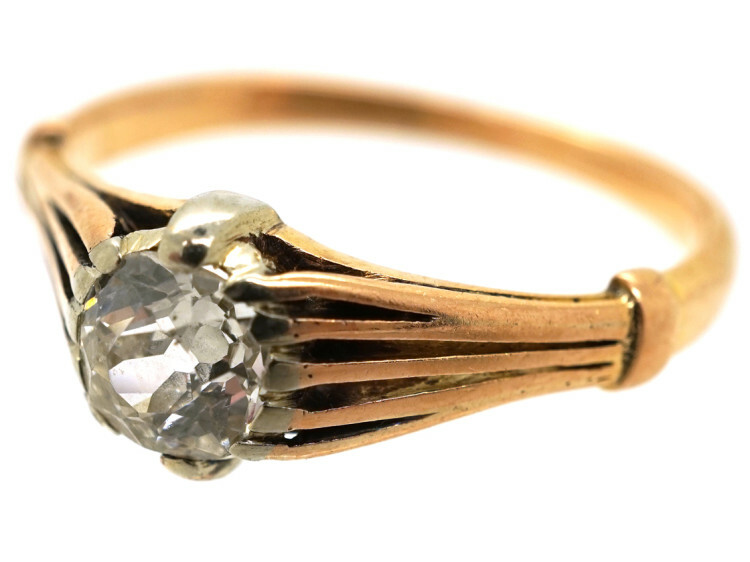 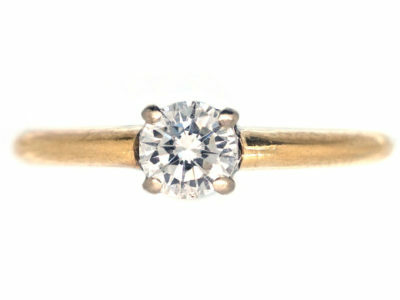 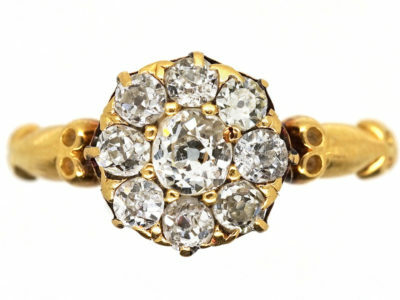 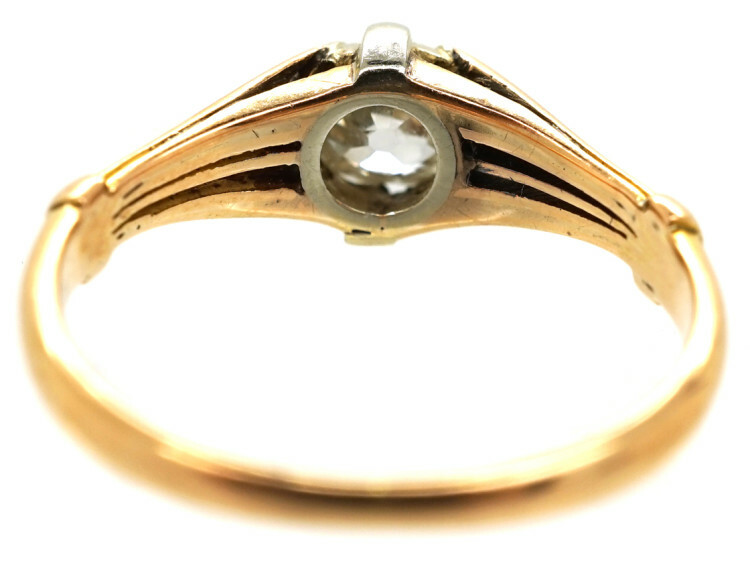 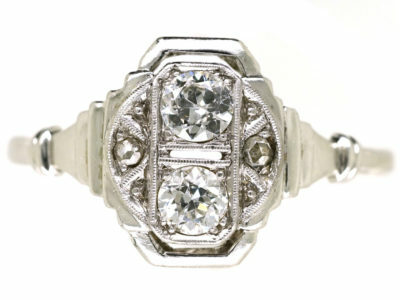 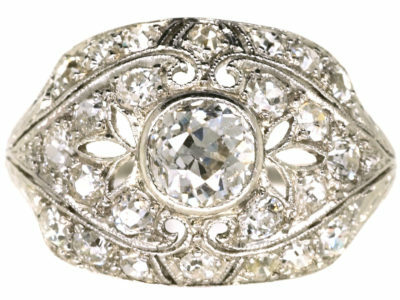 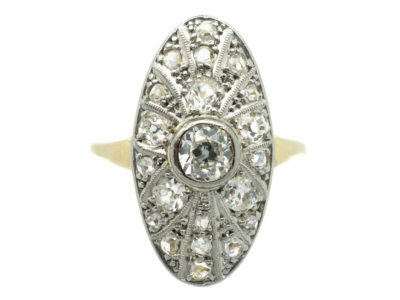 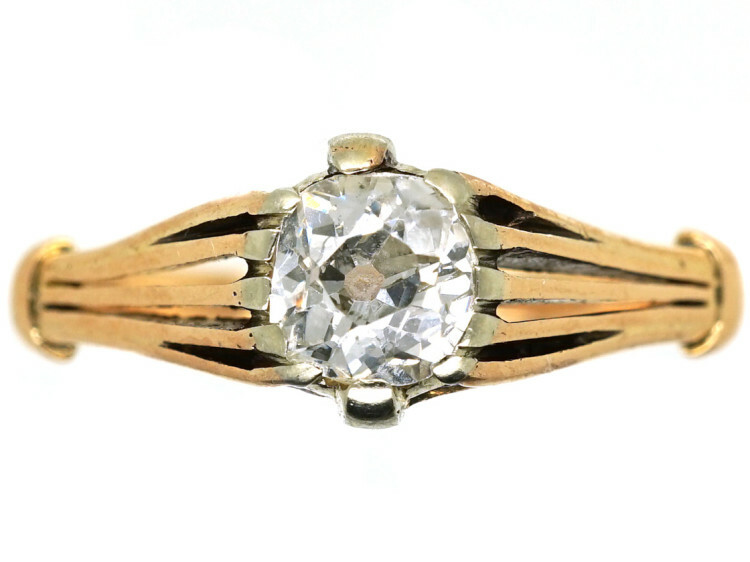 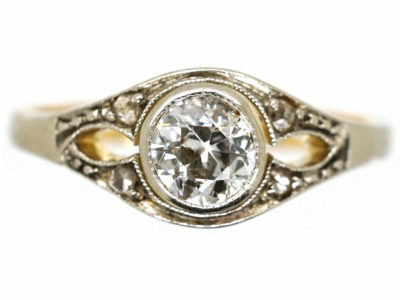 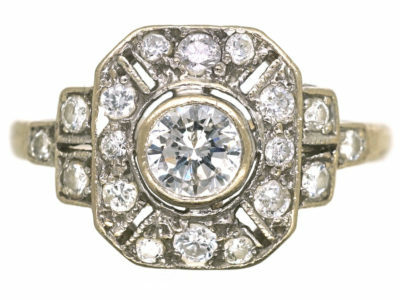 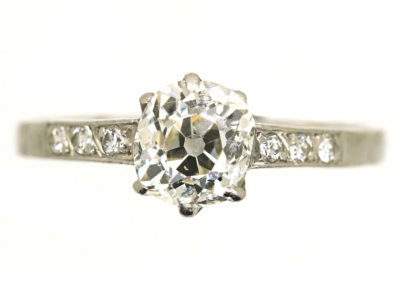 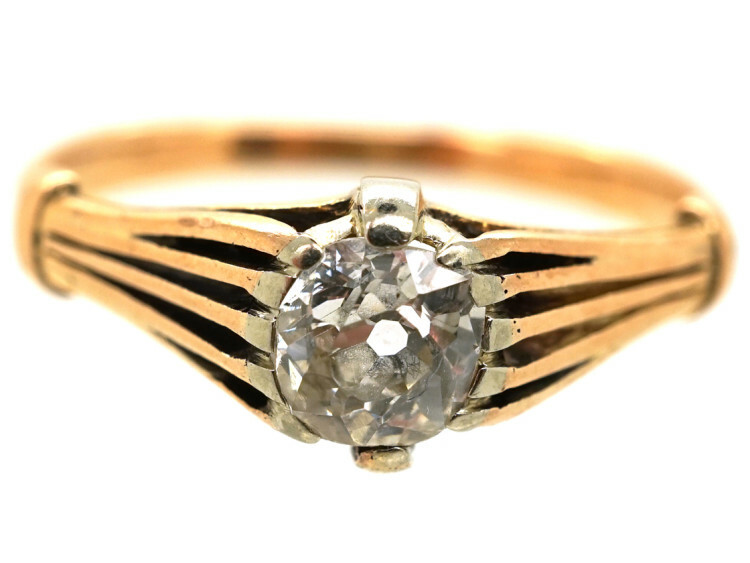 An unusual diamond solitaire ring that was made circa 1920. 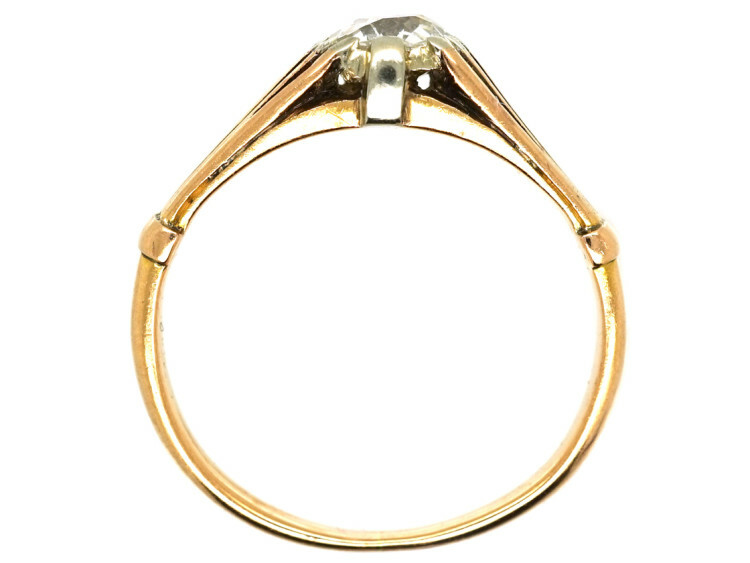 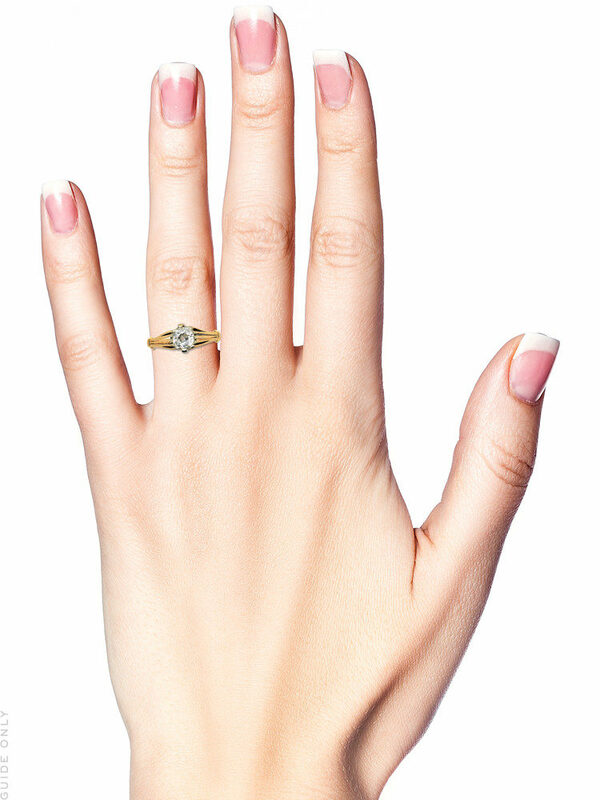 It is set with a transitional cut, oval shaped half carat diamond. 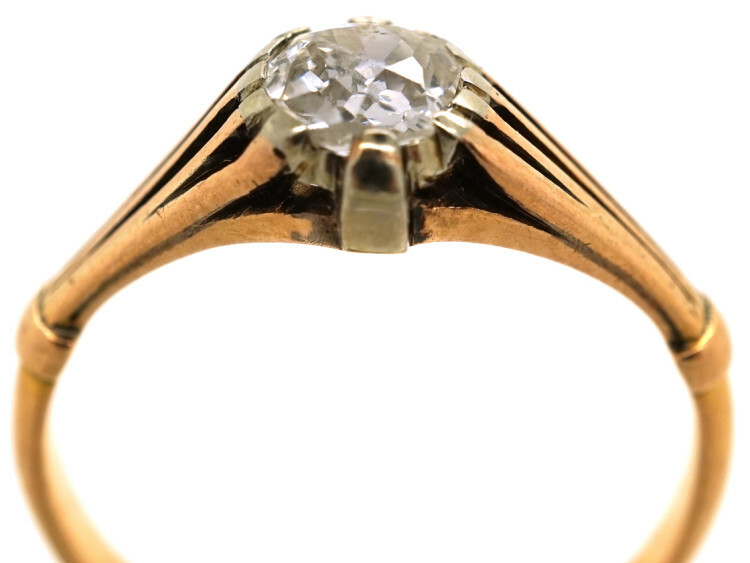 The shoulders are pierced and become claws to the sides of the diamond. 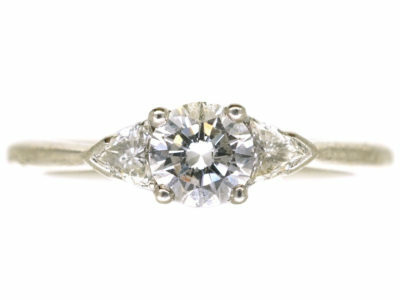 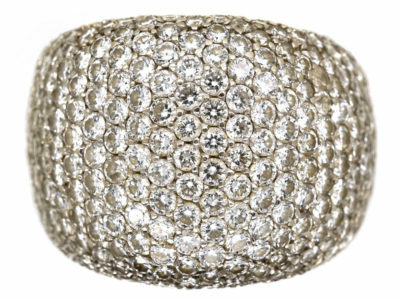 It would be a great engagement ring.